A new report concludes that microgrid technologies could make a local “techno-economy” 90 percent self-sufficient, paving the way for a truly renewable society. When it comes to renewable energy, it’s not just about getting the energy — distribution and storage are also major issues. Renewable energy tends to be abundant during some parts of the day (for instance, when it’s sunny or windy), and lacking during other parts. Also, managing this uneven distribution through a centralized grid has proven extremely challenging, and remains a major hurdle in the development of renewable grids. However, a new report funded by the Dutch government suggests that instead of finding new ways to fit this type of energy to conventional grids, we could build microgrids. Like the name implies, these would be smaller versions of a conventional grid, supplying energy to a neighborhood, small city, or a local area. This would be cheaper, more resilient, and more flexible, the report claims. The report was published Netherlands-based energy systems company Metabolic and funded by the Dutch Ministry of Economic Affairs and the Netherlands Enterprise Agency. It’s based on real-world data extracted from four cases in Amsterdam. 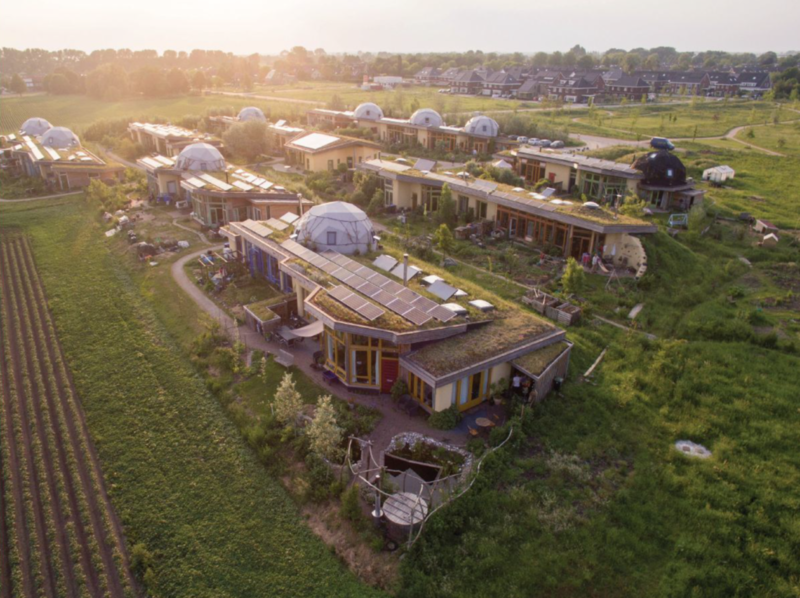 Among these cases, one particularly stands out: Ardehuizen, a near self-sufficient eco-village consisting of 23 “Earthship” houses. The report claims that Ardehuizen’s energy system was overall “significantly cheaper in the long run than a conventional grid powered energy system.” The system includes heat pumps, electric boilers, solar thermal and photovoltaic panels, wood stoves and grid connections. Although a large initial investment was required, in the long run, the system actually ended up saving money, particularly due to renewable energy systems. While the idea may seem a bit futuristic, it does make a lot of sense. We typically add things like solar panels or heat pumps individually. This adds a lot of stress to the grid, which can oftentimes struggle to integrate this extra energy. By having a whole suite of interconnected technologies, you’d save a lot of money on infrastructure additions and updates. This is where what Metabolic calls “SIDE” comes in. 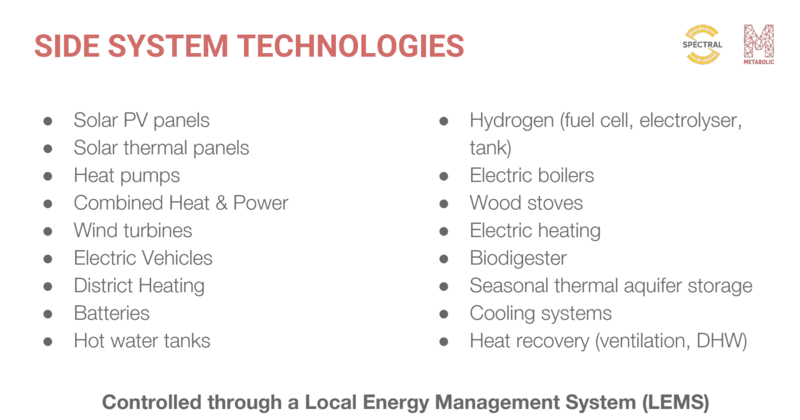 “SIDE” systems (standing for Smart Integrated Decentralised Energy) provide a way to intelligently integrate different technologies by balancing supply and demand locally to best suit the local situation and prevent high maintenance costs. The systems are easily scalable and adaptable in the rest of the world. While limits such as tariffs and electricity prices are still in place, the report makes a strong case for microgrids. Additionally, it goes even further, presenting a model to develop a sustainable, circular, and almost self-sustainable neighborhood. The circularity comes from re-using things like water, materials and waste and re-integrating them into the system. Of course, even though the models and prognosis seem very optimistic, it may be a long time before we see something like this implemented on a the large scale. It may never even happen. But to paraphrase a famous quote, problems are not solved by the same level of thinking that produced them. If we want to truly transition towards a sustainable society, we have to think one step ahead — and these microgrids may very well be that step.